Geneva, N.Y.: The Rose Hill Mansion will open for the 2017 season on Tuesday, May 2. 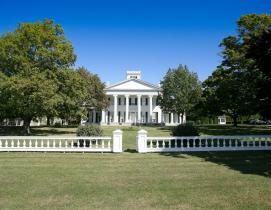 Administered by the Geneva Historical Society, the Greek Revival mansion and National Historical Landmark perches above Seneca Lake in the heart of the Finger Lakes. CANANDAIGUA – Sonnenberg Gardens & Mansion State Historic Park opens its gates to visitors on April 29 for its 44th season as a public garden and historic home. 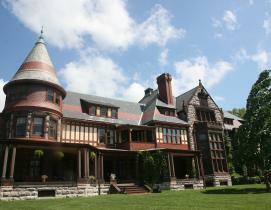 Sonnenberg, originally built and owned by banker Frederick Ferris Thompson and his wife Mary Clark Thompson, opened as a public attraction in 1973 after ownership was transferred from the US government to a nonprofit friends group. Today, Sonnenberg Gardens is one of the premier tourist attractions of the region and is open daily May through October welcoming 35,000 people annually to its Victorian estate featuring a 40-room mansion, 9 historic gardens, and antique green house complex. The park is also a popular wedding venue and home to the Finger Lakes Wine Center. And located only one mile from downtown Canandaigua, a Sonnenberg visit is the perfect pairing with any visit to Canandaigua.